The Government may have to take over work on the stalled Midland Met Hospital if efforts to set up a new PFI construction contract fail, it has been revealed. Work at the site in Smethwick has been at a standstill since original contractor Carillion collapsed in January and it is now expected the Midland Metropolitan Hospital, which was supposed to open this summer, will not now be completed until 2022. The consortium of banks helping fund the project pulled out last month and it has now been confirmed that the Treasury has cancelled the original Private Finance Initiative (PFI) contract that covered the construction of the hospital. It will now attempt to set up a new PFI contract, under which a private company takes responsibility for the project but also secures a 25-30 year site maintenance deal. But there is no certainty that the market will look favourably on such a deal. Although the Government still believes it is the most cost-effective way of getting the hospital built, major construction companies are increasingly shying away from PFI building work, worried about being left with huge bills if problems arise. If a willing PFI partner cannot be found, the work will have to be completed as a directly-procured Government contract, paid for directly out of Treasury coffers. It is understood the process of exploring the market to try and find a new PFI partner could take several months. Meanwhile the Sandwell and West Birmingham NHS Trust has warned that the building site is deteriorating due to the snow and rain this year. The bill for repairs on the two-thirds complete hospital is expected to be in "eight figures", while it is thought it may cost at least another £125m to complete the hospital – originally priced at £350m. 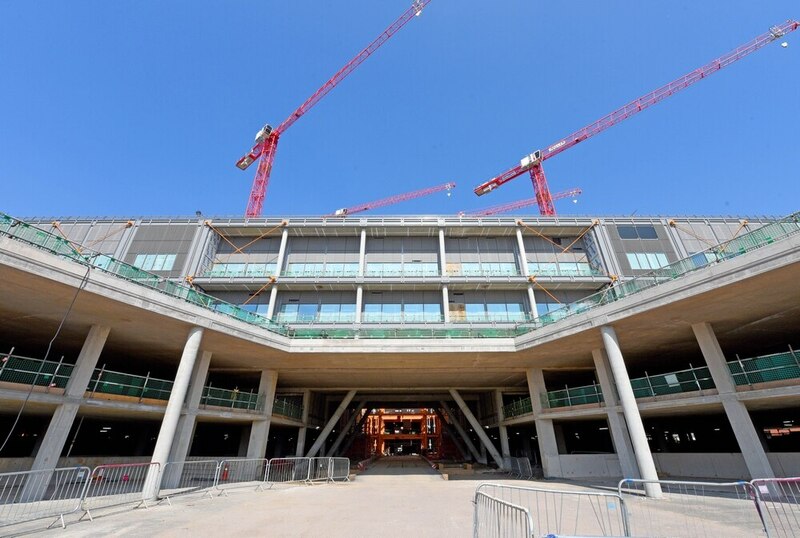 Government spokesperson said: "We remain absolutely committed to getting the new hospital built as quickly as possible – and are supporting the Trust to achieve this whilst also ensuring that taxpayers’ money is spent appropriately." Earlier this month a report from the National Audit Office revealed Carillion wanted another £125m to complete the Midland Met Hospital. It was part of a bailout plan rejected by the Government. Carillion went into liquidation in January and so far more than 2,300 people have been made redundant, including the 70 from the company working at the hospital site. The hospital had already been hit by major delays last year after a heating and ventilation system was installed late, didn't work and needed a major refit. Carillion was said to have lost £48m on the contract last year.